As a diesel technician with 15 years’ experience, Joe Siadak knows truck engines well. But biodiesel taught him something new. 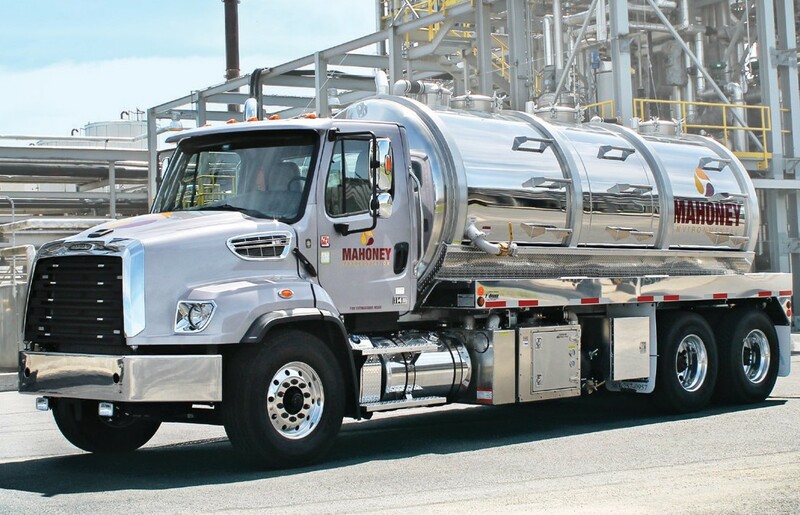 When Mahoney Environmental, where he is lead technician, decided to run its fleet of Class 7 and Class 8 trucks on biodiesel blends, Siadak had some concerns. He thought his team would see more fuel system failures and increased filter change intervals. The reality, however, is there’s been no impact on the performance of the 160-truck fleet, which collects used cooking oil from restaurants nationwide. His story is not unique. While some people make assumptions about biodiesel, the people who know diesel vehicles best inside and out — mechanics and technicians — and have experience with this new fuel say their fleets run great on the renewable fuel. Rochester Public Transit has been running its buses on biodiesel blends for nearly 20 years. It started at a B2 blend, meaning the fuel is 2 percent biodiesel and 98 percent petroleum diesel, and gradually moved to higher blends. Today, the 55-bus fleet uses B20 in warmer months and B10 in the winter. One of the benefits of biodiesel is it adds lubricity that is lacking in ULSD. Diesel vehicles rely on fuel to lubricate the fuel injection system, including the fuel pump and injectors. Without enough lubrication, these components can experience unnecessary wear and damage. Proper lubricity management can also help engines run smoother, more quietly and cooler. Rochester Public Transit also has had fewer injector issues since moving up to B20 a few years ago, according to Ritchie. Biodiesel also has a higher ASTM spec for Cetane compared with petroleum diesel. And Siadak says biodiesel’s cleaner burn has contributed to fewer after-treatment failures from plugged diesel particulate filters. There are other benefits to fleets that use biodiesel. One is that biodiesel reduces greenhouse gas and engine head emissions compared with petroleum diesel. Another is that biodiesel is often less expensive than petroleum diesel. 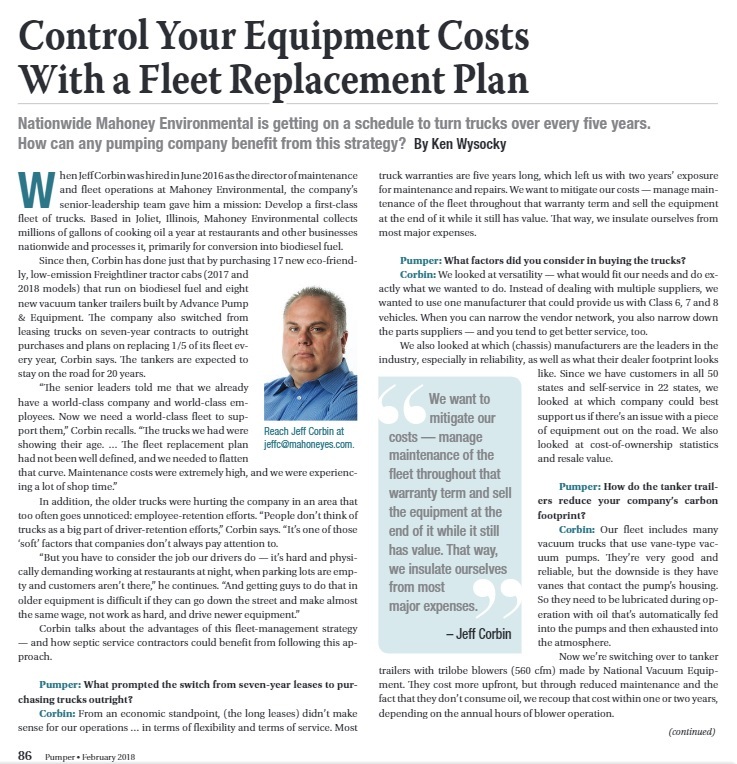 What Siadak and Ritchie are ultimately responsible for is keeping their fleets in peak condition. And in that respect, biodiesel gets the job done. “I’ve been working on Rochester buses since the mid- 1980s, and biodiesel has been as good if not better for the equipment than diesel,” Ritchie says. And Siadak says anyone who thinks biodiesel hurts performance should look under the hood. “If two trucks were side by side and one ran biodiesel and one didn’t, you would not be able to tell the difference,” he says. 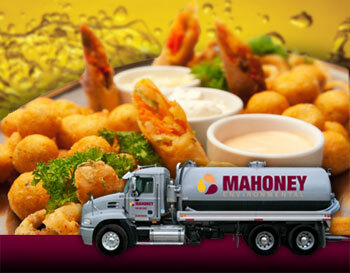 previous post: What Happens to Your UCO when Mahoney Removes it From Your Restaurant?